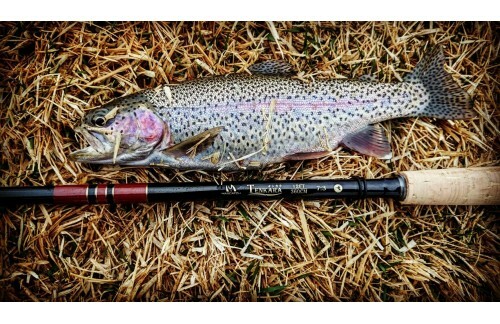 Tenkara Rod Telescoping Carbon Fly Fishing Rod How it work You tie a fixed length of line to the rod tip. Line length can be from the same length as the rod to over 2x the length of the rod. With line tied to the tip of the rod, rod extended, about 4ft of tippet at the end of the line and your fly, you’re ready to fish.